The potential business benefits of CRM are widely recognised but industry analysts such as Gartner or Forrester still estimate that 50-70% of CRM projects fail? This is attributed in part to not spending enough time understanding the business requirements that underpin such a project. It can be tempting to rush in and start assessing vendors and before you know it, you are months into the project and it is not delivering the return you expected. Failing to understand the outcomes you are looking for and not clearly defining your CRM requirements at the beginning of the project can have dramatic consequences and affect your ability to measure its impact on the business. 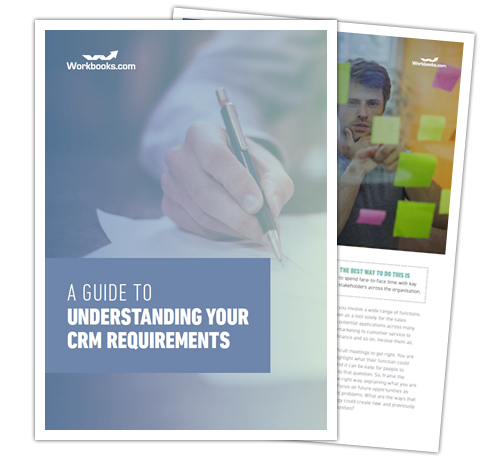 Download this guide now to learn how to avoid common pitfalls and better understand and define your CRM requirements.